Change is the only constant—that’s an aphorism that is bandied at every workplace. Almost every day! Yet, the workplace is well short of breath keeping pace with the changes that are shaping work. From Taylor’s principles to the Stanford Prison Experiment, many cornerstones of approaches to work have either been relegated to a small corner, simply overshadowed by societal evolution, or proven plain false. The need to continuously make sense of changes, refresh understanding and shift approaches is important. A need that has had me seek people, platforms and conferences around the world every year. It has challenged me to go beyond the obvious and seek out underlying patterns through deeper conversation. The annual conference of the Society of Human Resource Management (SHRM) has been on my mind for a while now. The promise of scale and a possibility of building a greater understanding of the context and thinking in a large market, and more importantly, a market which plays host to firms that are innovating at breakneck speed, had me make the trip to Chicago. 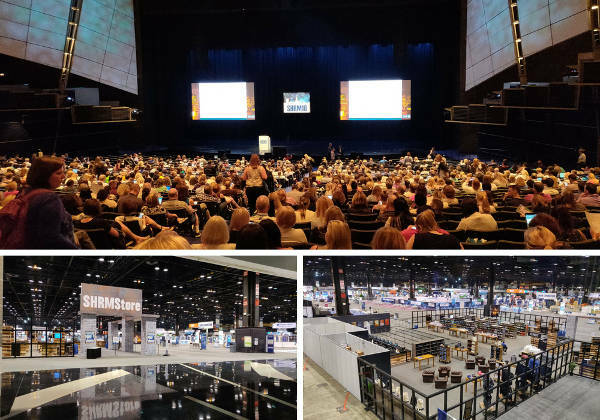 The #SHRM18 conference—with 17,000-plus delegates, 450-plus exhibitors, 200-plus sessions—reeked scale. This crown jewel among SHRM events had immaculate production quality, pyro-techniques and power statements from the stage. If the scale of the marketing effort targeting the HR function was any indication, getting better at ‘work’ is a huge opportunity. It’s another matter that the challenges that confront workplaces cannot be solved by slick software and neat marketing alone. It requires hard conversations, uncomfortable changes and a hard-nosed approach to stay human. More on that later. 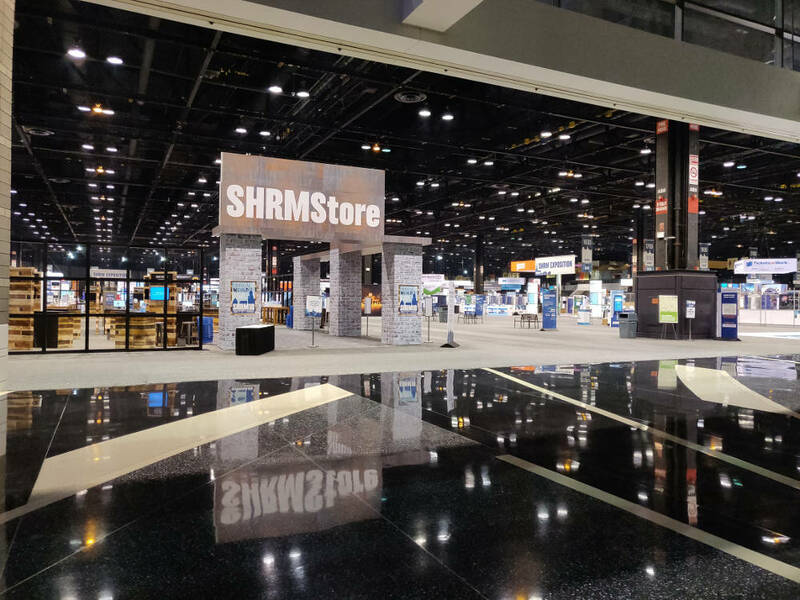 For now, here are three key elements that stay with me, after a week of sprinting across floors, attending sessions and catching up with colleagues from around the world at #SHRM18. Before we get there, the conference reminded me to read Arie De Geus and his book The Living Company again. 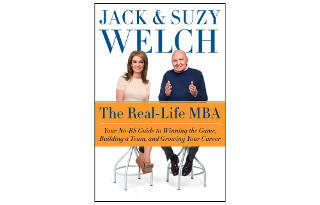 I have read the book several times over and every single time it helps me deal with what’s on the drawing board. I went to the book this time as well. In my line of work, we encounter a number of organisations where “This is who we are” comes up quickly, and stays through the conversation. It often becomes a sophisticated way of saying, “We won’t change.” Adam Grant, a professor at Wharton School and one of the world’s 10 most influential management thinkers, spoke of two different aspects that trigger this line of thought. The first is about who you hire. Do you hire people who fit into the way things are or would you seek out the ones who will stand out and help shape a different path? It depends on where you are. If you are in the early stages of starting up and growing further, well, you may want to seek out people who fit in. At some stage though, once the organisation stabilises, the need to change track stares at your face. Don't let your workplace become a cultural museum. Culture fit is a recipe for groupthink—it weeds out diversity of thought. Continuing to hire for “culture fit” will shear the organisation off innovation and creativity. Space for the “disagreeable giver” to have a point of view heard portends well for the organisation. Organisations thus cannot just stop at hiring beyond “culture fit”, but must also create the space for a culture to evolve. The level of challenge at work needs to be raised; don't let work get mundane. When there is no challenge, work gets mundane and people don’t feel engaged. But that’s tough work that does not fit into easy templates. The absence of conversation spawns disengagement to a degree that it cannot be redeemed by the fun and games silliness that passes for ‘employee engagement’. Organisations foster decline by focusing on transaction. There are several obvious signs. People become bot like, and work is a chore. Disagreements are frowned upon. Email thrives. And a general sense of “I have to pay my bills” pervades. Humanness in people comes alive in conversation. It necessitates a willingness to sit down, listen and engage. That very act of dialogue leads to discovery and engagement. Plus, most importantly, it sows the seeds for trust to take root. Yet, I am privy to several leadership conversations where the leader wonders why the conversations don’t take place despite so many technologies and platforms being available. Well, it’s never about the technology, is it? It is key for leadership to lead the way in having conversations that are rich in meaning. In smaller organisations, that is the best technology one can have. In larger organisations, adapting work to foster more conversations and facilitating change is important. It was from a passing mention by Sheryl Sandberg, COO of Facebook, who was in conversation with Adam Grant, that I got a neat takeaway—one that has prompted me to ask rather uncomfortable questions. And so, what are you NOT working on? Have you thought about it? At least, I hadn’t in a few areas that I should have. Our choices are usually based on what we want to do. To be conscious of what we are leaving out while we go after what we want to do, and then to consciously leave it out is a different matter. To become aware of the choice set and evolve it even further before going after one or two, helps in many ways. One, it brings a degree of focus on what’s selected. Even more is the continuous seeking of options and exercising choice. Those then are the essence of my thinking and reflection from SHRM18. We need to keep the conversation going and make continuous meaning of what’s happening around us. Within organisations and in the broader context of society as well. One more thing. We are all so focused on finding solutions. “Which software? Which vendor? What can I do? 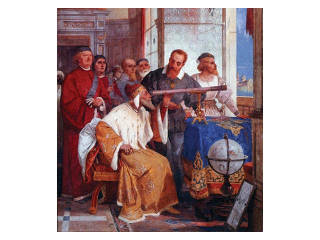 Like now!” It is a general theme that permeates the work landscape. Every time I see it, I can’t help but emphasise the need to pull back a bit. It will do us all good if we learn to stay with the problem. The problem cannot be (and should not be) defined by the tool that is available. To stay with the problem would need patience, tenacity, curiosity and a bunch of other things. Engaging in an inclusive dialogue around a problem is a humane way of approaching it. That by itself provides the platform for real solutions to emerge. Kavi is a talent and organisational change specialist who loves to play at the intersection of people, technology and organisational change. He has two decades of corporate experience in multi-cultural environments, both in MNCs and Indian organisations. He began his career in sales and marketing before choosing to specialise in leadership, talent, organisation development and change. 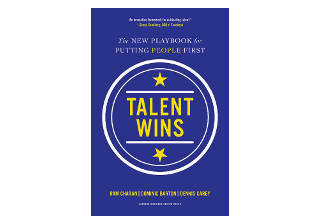 In his last assignment at Asian Paints, a $2 billion coatings multinational based out of India, Kavi was the group head for talent management, learning, leadership & organisational development, and diversity & inclusion. In this role, Kavi led a team that implemented technology tools for learning, performance and culture augmentation, while ensuring that the change process was anchored in real, meaningful conversations, a strong human connect and on-the-ground work. Kavi has particularly enjoyed working in the areas of leadership transitions and development, M&A integration, cultural assimilation, succession pipeline building and strengthening the pillars of culture. He has an abiding interest in the power of storytelling and the Future of Work. As an executive coach, Kavi works with several senior leaders across the industry, helping them to take charge of the future and deal with their current challenges. He is a Professional Certified Coach (PCC) with the International Coaching Federation. He began working as an executive coach in 2007 and has worked on embedding coaching as a culture in large organisations. Kavi provides thought leadership to Founding Fuel’s learning business. He is closely involved in building a practice that helps clients achieve business results that they seek through uniquely crafted and impactful programmes. Inside Founding Fuel, he acts as a coach to the founding team to help them become better leaders, reach their full potential and to question status quo. In addition to his role at Founding Fuel, he runs an independent executive development portfolio for senior leaders and select organisations. His areas of work range from executive coaching, strategic consulting and change for digital/tech projects, process facilitation, design thinking and the like. He strives to keep his work simple and anchored on real change while constantly working at the boundary of stretch and challenge. Kavi has a Masters in Business Administration. The fact that he is in “perpetual beta mode” helps him stay excited and alive. As the India Chair for the International Association of Facilitators for 2016, Kavi was instrumental in working with several global facilitators that helped custom design solutions around organisational strategy and design thinking. 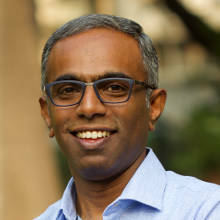 Kavi speaks at a number of global and national platforms and connects with global peers to stay current and updated. An accent on inter-disciplinary approaches to problem solving, deep listening and a curious mind that believes in the power of conversation provide him energy.